Clear and powerful stereo bookshelf speaker system with excellent speaker drivers. Ideal for music / movie entertainment and multimedia applications. 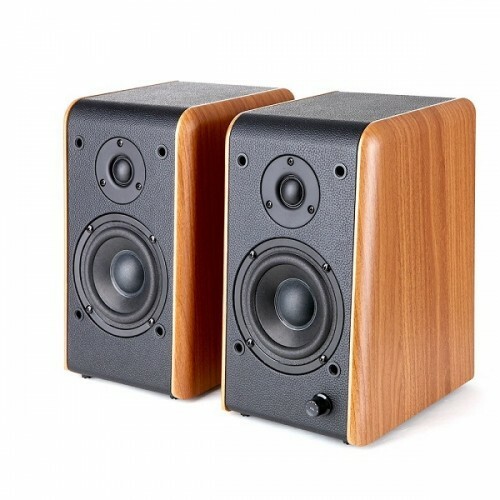 Great sound from specially design wooden cabinets that entertains you in most occasions. Features bass and treble controls for your preferred sound effects. Perfect sound every time from your music playbacks and for your perfect entertainment. Uncolored audio, precise position, high resolution and depth with Microlab own audio technology and design.